Dr Nick Keely was born, trained and qualified in Perth. He studied and worked overseas in Saudi Arabia and the UK. He spent two years in an Australian foreign aid anaesthesia post in the Pacific nation of Vanuatu For the last 19 years, Dr Keely has practiced full time as a Specialist Anaesthetist in the private sector. 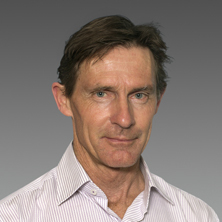 Dr Keely is a very experienced anaesthetist in a variety of fields including orthopaedics, gynaecology and urology.